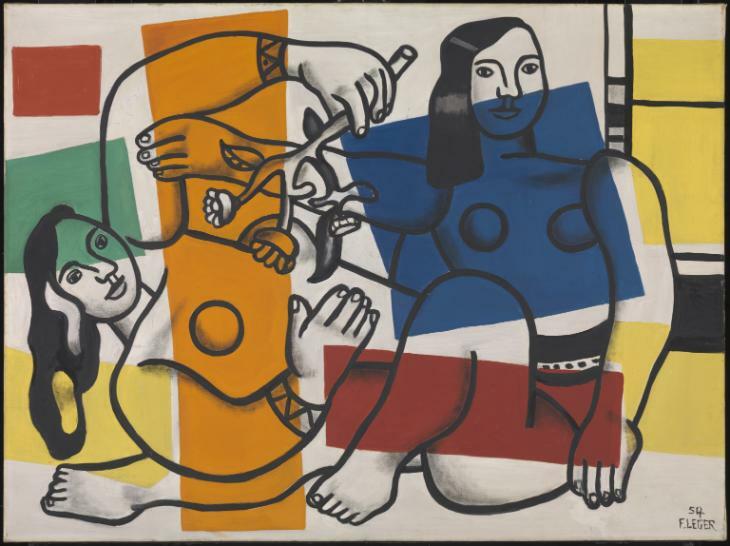 Tate Liverpool presents the first major UK exhibition in 30 years of renowned modern artist Fernand Léger (1881–1955). Fernand Léger: New Times, New Pleasures brings together more than 50 paintings from across Europe, including many never before seen in the UK. Featuring abstract and figurative paintings, drawings, a large-scale mural, films, graphic design, books and textiles, the exhibition explores how Léger redefined the value of art to 20th century society. Creating works in a diverse range of media, Léger was a politically-engaged artist, with an unwavering belief in the social function of art for everyone. Influenced by his early training as an architect, Léger developed a unique visual style that powerfully captured the intense experience and energy of the 1910s Parisian metropolis in which he lived. At a time when photography and new forms of visual communication became predominant, Léger’s artistic style became heavily influenced by street advertising; like posters and neon signs, his paintings made bold, graphic and colourful statements about the bustle and rhythm of modern life. Highlights of this seminal period of Léger’s career include, The Disc1918 and The Tugboat 1920 where the pure elements of abstract painting – line, form, colour – are used to embody industrial modernity. His interest and admiration for cinema also influenced his work, specifically his experimental film Ballet Mécanique 1924, made in collaboration with director, Dudley Murphy, artist, Man Ray and with music by George Antheil. Fernand Léger: New Times, New Pleasures provides a comprehensive survey of the artist’s career, bringing together major loans from lenders including Centre Pompidou, Musée d’Orsay, the Musée National Fernand Léger in Biot. The exhibition is curated by Darren Pih, Exhibitions & Displays Curator and Laura Bruni, Assistant Curator, Tate Liverpool. It was initially developed by Lauren Barnes, formerly Assistant Curator, Tate Liverpool. Organised in association with IVAM, Valencia where it will tour to from 2 May to 15 September 2019.